Before movie producers knew what a ‘cinematic universe’ was, plot-twist master M. Night Shyamalan was making introspective superhero movies with Hollywood’s elite. Unbreakable (2000) saw Bruce Willis play reluctant strongman and hero David Dunn and Samuel L. Jackson star as Elijah Price aka Mr. Glass, an evil genius with bones as fragile as…egg shells. The movie was a dark look into minds of fanatic comic book readers and the characters they admired. 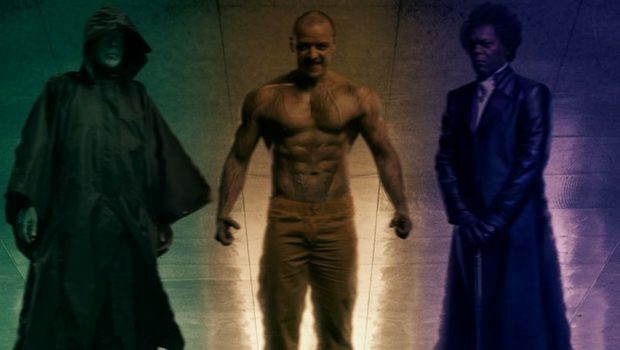 Split (2017) was Shyamalan’s Trojan horse sequel to Unbreakable, and starred James McAvoy as a heavily disturbed serial killer. Split made for an unlikely (and unknown until the last minute) part two in a trilogy. McAvoy played Kevin Wendell Crumb who battled 24 different personalities living inside his warped mind that came into existence through Exorcist levels of body movements. Crumb shuffled through his deck of characters who served a different purpose to help him obtain his goal of cleansing the world of the ‘untouched’. Those living inside his brain shifted from a nine-year-old Kanye fan to something far more sinister with The Beast, an indestructible monster with bulletproof capabilities. 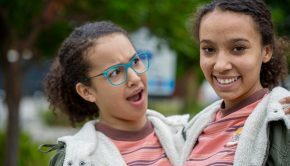 Split­ was revealed to be the next chapter in the Shyama-verse. A connection between Willis’ brooding Superman-type and Crumb’s unsettling need to kidnap teenage girls and devour them was established. Consequently, the Internet message boards and narrative theories went bananas. Shyamalan was building worlds of dark superheros and creepy super villains while Robert Downey Jr. was still only known for rom-coms and breaking into his neighbour’s homes. 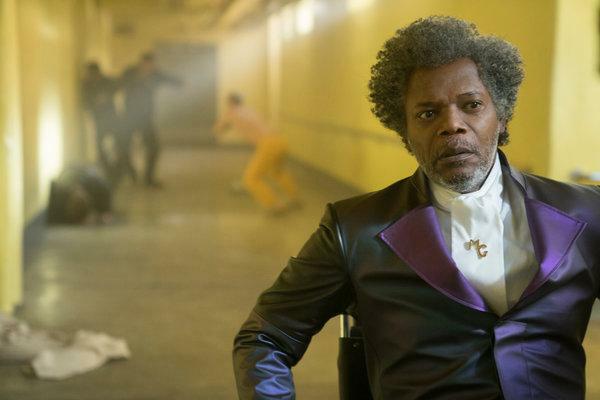 Glass is a sequel to Split and Unbreakable and a two-hour philosophical think piece about the psychology and motivations of somebody who believes they have superpowers. The film’s binary includes both the side of the hero and villain, depending on which perspective you are looking. This is a decent idea for a movie in 2019, where comic books movies are king but need Shyamalan‘s vision. After years of operating as a security expert and vigilante, Bruce Willis’ Dunn has aged but still patrols the streets to extract justice. Spencer Treat Clark, who featured in Unbreakable, returns as Dunn’s son, Joseph. He is now also Dunn’s ‘guy in the chair’ (shout out to Ned from Spiderman: Homecoming). While Dunn is the muscle on the street, knocking out no-gooders one punch at a time, Joseph is his eyes and ears, guiding him through an ear piece and Google Maps. The disappearance of a group of teenage girls paints Kevin, aka The Hoard, as the culprit. Dunn hits the road in search of the kidnapped teens, which leads to an eventual showdown with this nemesis. Thankfully, there are few overblown CGI battles in this low budget superhero movie. One scene of pure thriller genius has Dunn stalking two low level crims through their house and then slowly turning off the lights in order to cover his identity while punching fools in the face. Its creepy and awesome all at once. Events do not match the beats of a Marvel movie, meaning audience members expecting to munch popcorn and watch fights between good and evil will be disappointed. Shyamalan does not tell stories in such a straightforward manner. His screenplay takes us through too many twists and turns for anything predictable to occur. Dunn and Kevin arrive in a mental facility under the watchful eye of psychologist Dr. Ellie Staple (Sarah Paulson). She doesn’t see these individuals as gifted but deluded and unstable. Looking at McAvoy masterfully shift from one intense personality to another may prove she’s right. These psychology meetings unite Dunn, the Hoard, and, yep you guessed it, the now incarcerated Mr. Glass. Each character is put under the microscope for both Dr. Staple and the audience. This is where the juggling act between characters hits its stride. Despite the title Glass, the focus is Kevin as he is clearly the story’s most colourful character. Speaking of colour, the film’s set design deserves a standing ovation for literally painting each character with a specific tinge. Dunn is surrounded by green to match his raincoat superhero uniform, while purple illuminates Mr. Glass’ genius, and yellow suggests The Hoard’s unpredictability and danger. 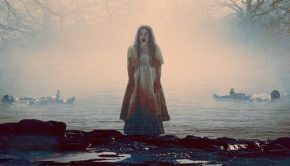 The amazingly talented Anya Taylor-Joy (The Witch, 2015) reprises her role as final girl Casey Cooke, the one left uneaten after The Hoard’s evil ways in Split. Casey is more of a survivor than a victim as she literally sits face-to-face with her once previous captor and plays beauty to his beast. Taylor-Joy is an acting talent worth watching as she is weaved into a story that would be normally male-dominated and puts extra meat on this narrative’s bones with her understated acting style. McAvoy effortlessly shows off his acting skills as he shape shifts while heavy strobe lights force him from one personality to another. 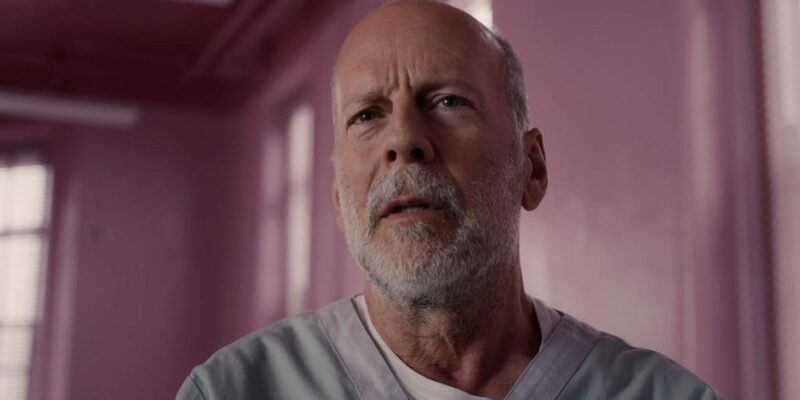 Bruce Willis does the regular brooding good guy routine we have come to expect from him, while Samuel L. Jackson is divine in twisting his metaphorical moustache as the title villain. 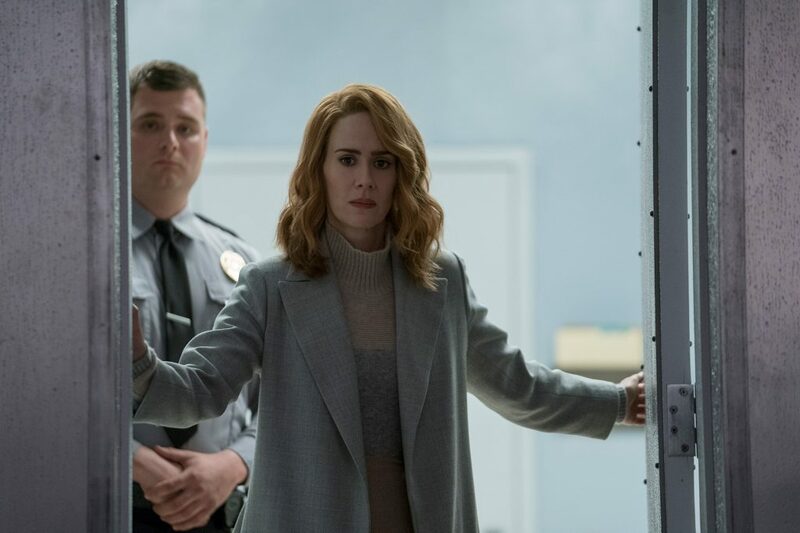 Paulson as a concerned and meddling psychologist initially appears cliché but as the movie lets her character breathe and unfold, we begin to see more. As is typical of Shyamalan, there are juicy twists and turns in the story, including a weighty end pay-off that will reward patient audiences. 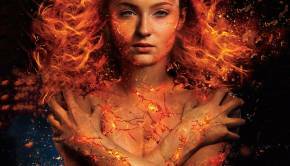 Initially, the movie shows comic book troupes seeping in, but they soon reveal themselves as comic book tributes more than narrative missteps. It is highly recommended that you watch the first two movies in this surprise franchise. Entering blind will leave the novice feeling left behind. Glass is imperfect as it shows a few cracks here and there. However, it is reflective enough of the first film’s spirit to please long-time fans. It marks a satisfying end to this trilogy we did not see coming and adds extra dark tones to the bloated genre of superhero movies. Summary: It marks a satisfying end to this trilogy we did not see coming and adds extra dark tones to the bloated genre of superhero movies.